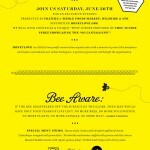 Come Get Buzzed with HoneyLove @ Fraiche in Santa Monica! 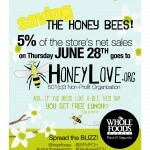 5% Day Supporting HONEYLOVE ?!!! SHOP ON THIS DAY AND MAKE A DIFFERENCE!! 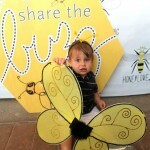 5% of Whole Foods Market El Segundo’s net sales will be donated to HoneyLove. 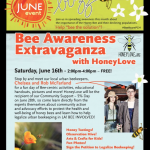 HoneyLove is a 501(c)3 non-profit conservation organization with a mission to protect the honey bees and inspire and educate new urban beekeepers. 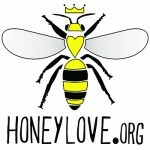 To find out more, please visit their website at http://honeylove.org/. 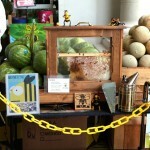 Customers are encouraged to support Bee Awareness by wearing black & yellow. 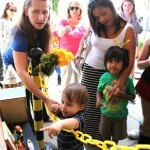 Everyone who shows their support will be entered into a raffle to win fun bee-inspired prizes. 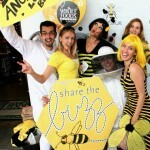 DRESS LIKE A BEE this day, and get LUNCH ON WHOLE FOODS (up to $10)!! VICTORY IN REDONDO BEACH, CALIFORNIA!! 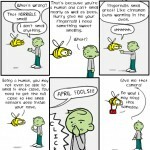 Before last night’s city council meeting, bees were categorized as a de-facto “nuisance” by the municipal code. 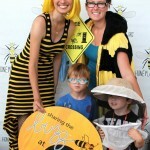 Last night that changed 🙂 A group of BBK’s came to the city council meeting to support my petition for a permit allowing me to keep a hive and in a team effort we were able to persuade the city council to get with the times and allow individuals to keep bees. Thank you all so much for making this happen. After a very lengthy meeting that started at 6PM, our issue finally came to the floor at nearly 10 PM. Representatives from Redondo Beach Animal Control summarized their position which was formally submitted in a 12 page report. In essence they were agreeable to granting the permit subject to a variety of requirements, including the approval of my neighbors. 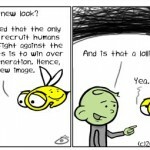 Then it was our turn. 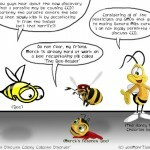 Members of the city council asked a variety of questions that we were able to answer based on the knowledge that we’ve absorbed through BBK and our individual experiences with the bees. 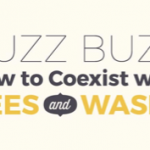 It all wrapped nicely at the end when the city council unanimously agreed to adopt the measure that in essence removed bees from the list of “nuisances” and allowed individuals to keep bees. Additionally, the city council agreed to remove the requirement of “approval by neighbors” and even to lower the fee for the permit that was proposed by animal control. 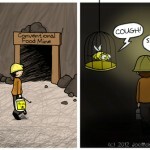 In all I would say it was a victory for all beekeepers. 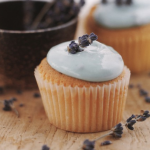 I would like to acknowledge all the support and guidance provided by Kirk, the use of the material compiled by Rob and Chelsea [HoneyLove] and the fine example they set with their efforts in Mar Vista, the enthusiasm and participation of Susan, Roberta, Dennis and Randy. You guys Rock! 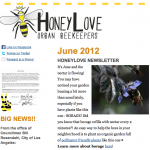 Click above to view HoneyLove’s June 2012 Newsletter!! 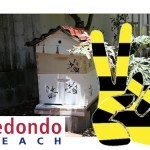 BEES RESCUED FROM: Water Meter in Marina del Rey! 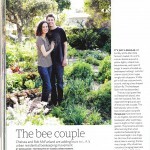 Click here to see photos from SUSAN’S FIRST BEE RESCUE! 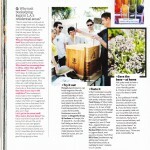 HoneyLove featured in Sunset Magazine ?!! !